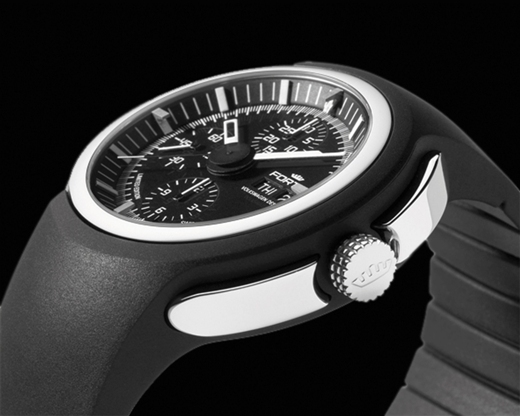 A team consisting of creative heads at VolkswagenDesign and experienced watchmakers and technicians of traditional Swiss watch manufacturer Fortis, together developed a contemporary luxury chronograph watch with the forward-looking name Spaceleader, equipped with a premium automatic movement. 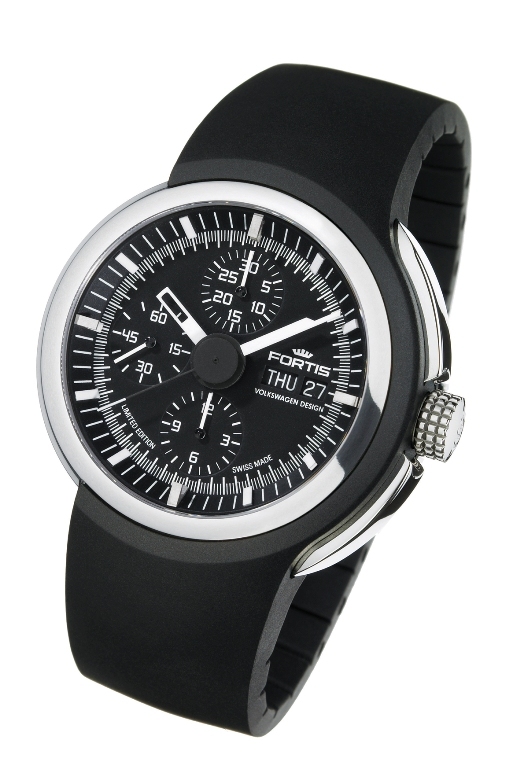 International product design experts awarded the iF Product Design Award 2010 to the Fortis Spaceleader Chronograph for proven design quality. The aesthetic clear-cut design of the automobile designers — multiply repeated in all functional elements of the watch — stands for its distinctive character and grants a high recognition value of this luxurious limited edition watch.